Recorded at Jam Factory (TONE Festival/The Music Gallery's Departures Series), June 19, 2018. 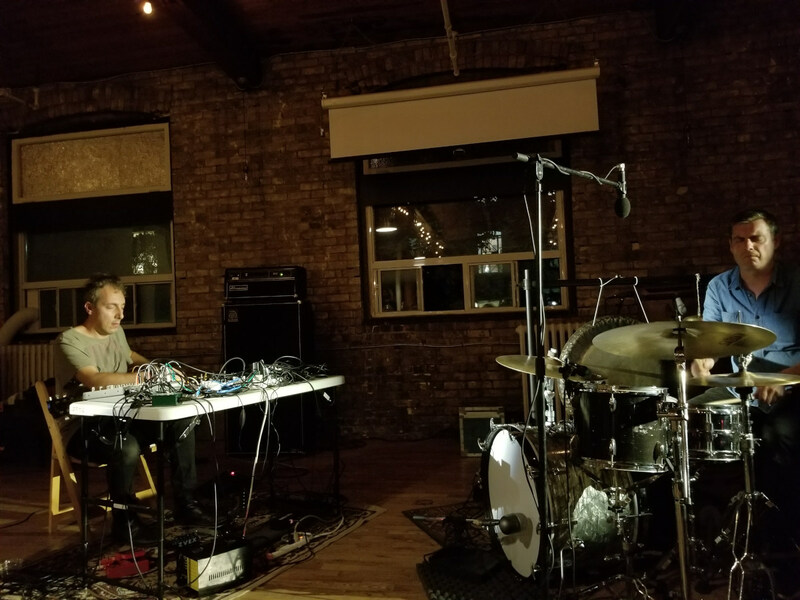 The night's visiting headliners closed their eyes and generated an expanding sonic sphere, slowly amping up rumbles and drones into an extended peak at maximum velocity. 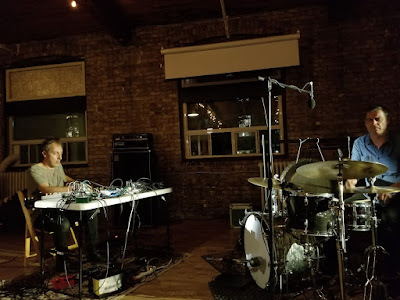 The long, steady swelling-up was buoyed by Ambarchi's mess of wires and electronics (creating at times an almost hurdy-gurdy tonality) and nudged ever forward by Guthrie's rolling/roiling percussion.